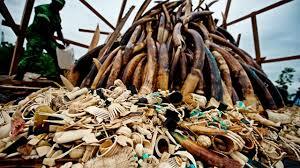 From NatureUp : Astonishing numbers of elephants and rhinos are being poached across Africa. Between 25,000 and 40,000 elephants are likely to be illegally killed there this year. South Africa, home to about 80% of the continent’s rhinoceroses, is projected to lose between 900 and 1,000 of those primeval beasts to poachers by Christmas, up from a mere 13 in 2007. Governments and conservation organisations are struggling to contain the rising carnage, a result of increasing demand for rhino horn and ivory in Asia, especially in China, Vietnam and Thailand. This entry was posted in Uncategorized on August 29, 2013 by Dr Raziq.